Redi Trench® barrier free Shower Pan with Plank Pitch®, molded-in trench, and integrated trench drain, entrance and splash walls. Pre-pitched. Tileable. No mud setting or hot mopping. UL Listed. Depth measured from the front of the entrance to the outside of the back splash wall. 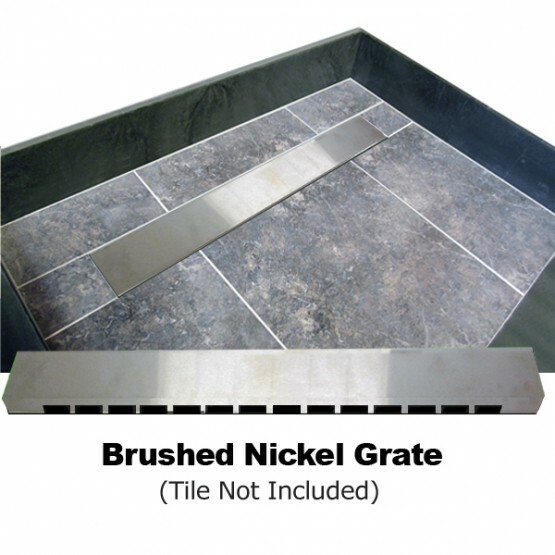 Redi Trench® is a Tile Ready® brand shower pan by Tile Redi®.